In future columns, we’ll focus on ways UX professionals can successfully navigate the challenges of designing enterprise UX. There is no consensus on how to define enterprise UX. Clearly, the term enterprise UX is suffering an identity crisis. We found that there are many assumptions about what it is, which leads to phrases such as, “I know it when I see it,” but the reality is that UX professionals don’t all see enterprise UX the same way. Our definition of enterprise UX: The design of products for people at work. Since one of our goals for this column is to explore the reality of designing great software experiences for the enterprise, we believe it is critical to make sure that we use a consistent definition for this term. In our view, enterprise UX is not limited to internal corporate systems. It’s a vast universe that includes any software that helps workers to do their job. Here is our definition of enterprise UX: The design of products for people at work. Where Can Enterprise UX Make a Difference? Perhaps the better question is: where can’t enterprise UX make a difference? Enterprise software is everywhere—often in places you might not realize. For example, the healthcare industry is chock full of software applications that manage electronic health records, patient billing, and more. When you visit your doctor’s office, you are probably ushered into an exam room where someone inquires about your symptoms. In the past, medical professionals may have taken notes on paper or perhaps just kept the information in their head. But today, they usually enter important information about your health into a software application. Sadly, many of these applications fall far short of the bar we would set for a positive user experience. Few of these tools are known for providing exceptional user experiences. 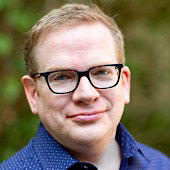 In his article, “Healthcare Design Is About More Than Aesthetics,” author Chris Kiess observes that, in general, the healthcare industry suffers from a dearth of UX professionals. As a result, poor experiences abound. Making a mistake when using healthcare software can have potentially tragic consequences. Kiess points out that making a mistake when using healthcare software can have potentially tragic consequences. User interfaces such as that shown in Figure 1 make us realize how easy it might be for a busy healthcare professional to make a fatal mistake when performing a critical task such as entering prescription dosages. A medical software vendor designed this software. Enterprise UX can make massive impact in the domain of healthcare—and many others. Consider the factories around the world that make everything from the sheets you sleep in, to the soap you wash with, to the car you drive to work. As Jonathan discussed in his three-part series for UXmatters titled “UX for the Industrial Environment,” even in the age of automation, the factory floor is more human than you might think, and the people who work there are happier and more productive with efficient, effective, and satisfying software applications. But, in far too many cases, these workers end up using poorly designed solutions that force them to create their own workarounds. Enterprise software … extends its considerable reach into the world of small businesses as well. But the scope of enterprise software—and the opportunity for enterprise UX to make a difference—is not limited to large enterprises such as hospitals and automobile plants. It extends its considerable reach into the world of small businesses as well. For example, residential real estate is a huge business, with 5,510,000 home sales in the United States in 2017. But much of its workforce comprises independent agents who work for a variety of brokerages, large and small. So, despite the size of the industry as a whole, these agents are saddled with frustrating, outdated software experiences—such as the user interface from a real-estate software vendor shown in Figure 2—that can actually hamper their ability to remain productive and competitive. 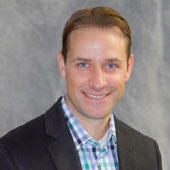 According to Chris Olsen, owner of Olsen Ziegler Realty in Cleveland, Ohio, one of the main issues for real-estate professionals is that many of the vendors who develop the more cost-effective home search and lead-management software solutions don’t bother to include any UX professionals in the design and development of their products. 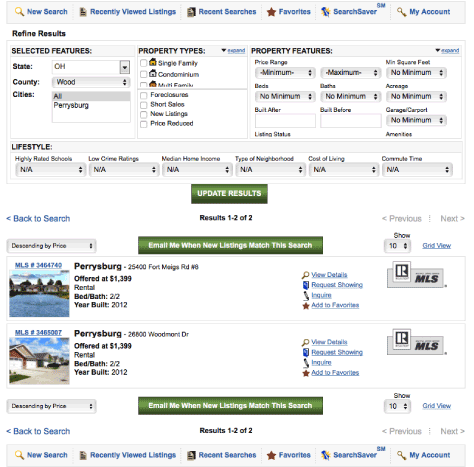 Figure 3 shows an example of a home-search results page that a real-estate software vendor developed for a small brokerage. It probably isn’t causing any sleepless nights for executives at Zillow or Trulia. What Are the Unique Challenges of Enterprise UX? 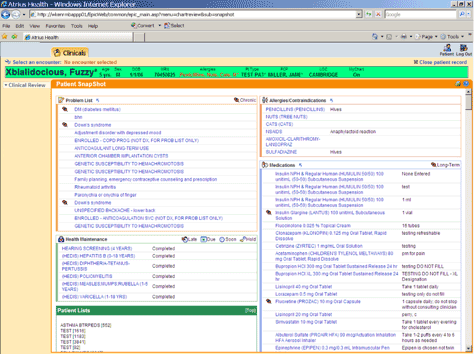 Enterprise software is usually highly specialized and complex. Enterprise software is usually highly specialized and complex. These can be massive products that experts use for several hours every day to get critical work done. UX designers and researchers working in enterprise domains face a steep learning curve. The user and the customer are rarely the same person. The customer who decides to purchase enterprise software is not usually the person who ends up using it. Vendors sell their wares to boardroom executives, not to the workers who must use their products daily. Conducting UX research to better understand enterprise users comes with its own set of obstacles—such as difficulties getting access to workers in the field, legal concerns about intellectual property, salespeople who own the customer relationship, and more. Doing guerrilla usability testing in a coffee shop will almost never be an option. The contexts of use and needs of the enterprise user are very different from those for consumer-facing applications. Today, the design of so much software assumes that users will be popping in and out of it. But the design of many enterprise solutions must assume a deeper level of focus and greater time commitment from the user. Plus, the concept of simplification—which often masquerades as the subtraction of unnecessary features in business-to-consumer (B2C) apps—doesn’t map as cleanly to enterprise software. For workers, who might spend 20–40 hours per week using enterprise applications, hiding features under the guise of simplification can be detrimental to their product mastery, something we’ll explore in future columns. Also, the idea of releasing a minimum-viable product (MVP) as an early version of an application is rarely feasible in the enterprise space. There are certain functionality requirements that are non-negotiable for these users. Asking them to use a half-baked solution to get real work done would be neither fair nor realistic. There is less competition for enterprise vendors and a higher barrier to entry. As a result, bad experiences often already have a foot in the door—and, in some cases, have taken up permanent residence in many industries. A lack of competition often translates to very little UX investment because design has no perceived value. However, workers now have so much exposure to good user experiences—through the applications they use in their personal lives—that they have far less patience with bad user experiences at work. This is particularly true for enterprise mobile applications, which sit side by side with Google Maps and Twitter, so users can’t help but notice the difference. Legacy solutions may seem comfortable. In many cases, established enterprise-software vendors risk cannibalizing the success of their own legacy products—which might still be profitable—when salespeople show customers newer products with better experiences. As a result, sales departments are often disincentivized to advocate for a better, more modern product experience out of fear that it might harm sales for the old product they must keep afloat. Plus, given the high cost of transitioning to new software products, customers in many industries fall back on the old “if it ain’t broke, don’t fix it” mindset. How Can You Impact Enterprise UX Projects? You may be new to designing enterprise solutions, or perhaps you’ve been designing them for several years, waging the wars of enterprise UX alone or with a small group of fellow UX designers. Regardless of your familiarity with the space, we think you’ll find value in the information we plan to share. We’ll write about what we’ve learned through experience and observation, and we invite you to join us on this journey. Please engage with us by sharing your comments. We welcome your feedback and encourage you to suggest topics for us to cover. How do you define enterprise UX? What are some lessons you’d like to share? This is such a timely article! I’ve been working in UX as a researcher for enterprise software for my entire UX career. I am currently working on tax accounting software that is a full product suite. Each product fulfills a need for the different responsibilities of tax accountants. In large companies, those roles are highly specialized. In smaller companies, the same person wears multiple tax accounting hats. 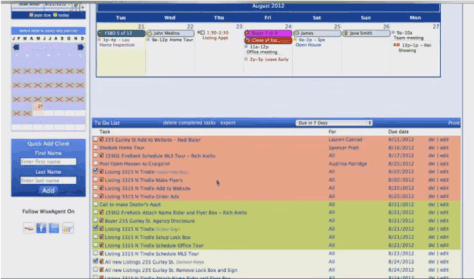 I’m looking for ideas on how to present a task in a user test that is multiple steps encompassing several screens. I would love some ideas to try out. Thanks for this article. I have found introducing UX into enterprise software products really quite difficult. I can recognise many of the points mentioned and I will follow with interest and hopefully get more insight and support. I love that you are addressing this area of UX! Navigating the waters across enterprise has unique challenges, many of which you have identified. As a specialist in participant recruitment in this space, I would add identifying the right users. High-frequency iterative testing in environments where workers must constantly adopt new skills and tools requires a particularly intense focus on relationships with users. Thank you, Mal. Glad you find the subject matter applicable to your work! Please do follow along. I also request that you let both Chris and I know what areas if any, you find particularly frustrating when introducing UX into enterprise software. We’d like the UX community to help influence the content of future columns as much as possible. Hi Joanne. Thank you for reading, and glad you find this content timely! Both Chris and I can relate to the issues you’re alluding to with regards to the tax accounting software. We’re planning another column that will be more focused on research and it would be great to get more of your feedback. Chris’ specialty is research, so I’ll let him weigh in. Thank you for reading! Yes, identifying the right users is a rigorous but worthwhile activity in this space. Thank you for sharing your thoughts on high-frequency-iterative testing. Research is Chris’s specialty, so I’ll let him weigh in. Hi Joanne—Thanks for your comment. I’d love to provide some feedback, but I think I need to understand your question a bit better. Are you talking about using an interactive prototype where the user can move through the screens or is it more about how to word a task like that in your study? Excellent article especially with your descriptions of the barriers to improving the experience around enterprise software such as the disincentive to improve profitable legacy software. And complexity, oh my gosh. In some cases, it seems as if the original coders were trying to make it hard. This point is crucial: “championing user experience on engineering-centric teams.” Challenging. I look forward to reading your other enterprise related articles. Thank you for your comment. Yes, disrupting profit for the sake of improving a product’s usability is a legitimate concern for sales teams in this space. It’s certainly a dynamic that doesn’t get much attention, but we hope to provide more on it as the column progresses. And per your comment about championing UX on engineering-centric teams: as it happens, this is a very important topic to me, and something we plan on covering in an upcoming column. Glad it resonates!